A scenic walk through farmland and round the U bend of the River Avon, passing Avon Riverside station on the Avon Valley Steam Railway, Swineford Lock, Saltford Mead, and Saltford Lock. 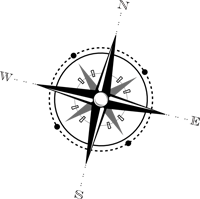 Distance: 4 miles, circular walk, or 3 miles, circular walk (shorter version). Going: Easy, but can be wet or muddy. Some high undergrowth in summer. Facilities: Riverside picnic area, Avon Valley Railway, The Jolly Sailor, The Bird In Hand. To reduce the length of this walk by approximately 25%, climb the steps from the Bird in Hand car park up to the Bristol and Bath Railway path (or go through the bridge and up the path on the other side).Walk northwards (i.e. towards Bitton and Bristol). As you leave the Bird in Hand look out for the exposure of Lower Jurassic rocks on your right (1a), shortly after the gated access to Avon Lane. The rocks here are approximately 190 to 200 million years old and were formed during the Sinemurian age of the Lower Jurassic period. This new exposure on the railway path (excavated in 2014/15) will link to other rock exposures in Saltford to form an accessible circular geology trail so that visitors can explore the local geology for themselves. Keep going until you reach Avon Riverside station on the Avon Valley Steam Railway. Before the river bridge walk down the access path to the river to your left (or for the picnic area keep going over the bridge).Then jump to (6) below. Walk up the High Street from the Bird in Hand to the War Memorial at the junction with Beech Road. Walk a few metres up Norman Road and turn immediately right at the public footpath sign down the track (1). This track was once known as Baker's Lane, and it crosses the railway tunnel built in 1838. On your right is the fine Georgian 'Tunnel House', which by 1837 had been bought by the Great Western Railway, along with a small yard to your left (where the modern houses are), to support the construction project. 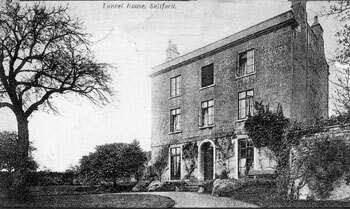 It is likely that the Tunnel house was used to accommodate the more senior staff, whist the navvies slept in the 'Railway Arms' (now no. 18 High Street) in shifts of 20 at a time1. As the track swings to the left you can see the tunnel mouth down below, if it is not too overgrown. Continue along this track, and when it peters out by the 'phone mast (2), keep going in the same direction with the railway on your immediate left. Continue until you reach a track leading from the bridge over the railway (3). Do not cross the railway, but turn right here, and then at the first field boundary turn left, following the public footpath sign, and head towards the farm, keeping the hedgerow to your right. There are nice open vistas from this path, looking towards the attractive Avon Valley Farm (formerly Stidham/Steadham Farm. When you get near the farm go through the gateway into the field on your right (4) and then head down the public footpath away from the farm, keeping the hedgerow to your left. At the end of the field turn left over the footbridge and carry straight on towards the red and white warning post (for an underground gas pipeline). After a little way look for the footpath turning right through the hedgerow and over another footbridge. The field you are now walking in (5) forms a Site of Special Scientific Interest. Known as Stidham Farm SSSI, this site contains Pleistocene terrace-gravels of the River Avon. Two metres of sandy gravels are recorded, consisting of limestone clasts mainly, but also with Millstone Grit, Pennant Sandstone, flint and chert clasts. The site is of considerable importance for studies relating to the possible glaciation of the area, and of the terrace stratigraphy, particularly as it is one of only two accessible terrace deposits in this part of the Avon valley. Turn left and continue down to the river, and follow the path along the bank towards the railway bridge (6). On the opposite bank of the river you can see a picnic area and landing stage. If you want to visit this, turn uphill immediately before the railway bridge and this will take you up to the Bristol and Bath Railway Path. Follow this over the bridge and then turn left down a path that leads to the picnic area. Then return over the bridge. Follow the riverbank path (you are now on the River Avon Trail) under the railway bridge and keep going alongside the river. On the slope to your right is a wind pump (7), thought to date from the early twentieth century. Further along, on the slope directly in front of Avon Farm, at least 6 inhumation burials were found in about 1936 in a pit by John Thrift of Bath. They lay approximately E-W and probably date from the Saxon era - one contained an iron knife of Saxon date. This knife was in the University of Bristol Spelaeological Society Museum which was destroyed in the Second World War. Just after Avon Farm, and near where the hedgerow runs down the hill to the river there used to be a horse ferry (8). In the days when river traffic was pulled by horses on the towpath, they had to be conveyed across the river where the towpath switched sides. On canals, bridges were built for this purpose, but on a wide stretch of river such as this a ferry boat was used. Later in this walk we will see the location of another horse ferry. Next you reach Swineford Lock (9). Just before it you can see (on the opposite side of the river) the leat, or artificial channel, leading from the old mill back to the river. in its heyday, between 1709 and 1859 Swineford had an active brass and copper industry which were served by the river which also provided water power for the cloth industry. Swineford Mill was an early fulling mill which was adapted to roll copper sheet in 1709. By 1859 the site was sold to lead manufacturers, later converted to a flock mill and then to light engineering. Two 22ft 6ins diameter waterwheels are still in situ. Swineford Lock is a beautiful spot. Take time to walk over the lock gates and look at the weir. Look out for herons and kingfishers! Continue alongside the river until, just after a landing stage and water supply provided for boaters, you come to a large open field (10). On the opposite bank is an old industrial building now shared by several engineering companies. This building is known as The Old Tannery, and is marked on maps from the late nineteenth century as the Bath & Bristol Laundry. You are in an area known as Saltford Mead. At the time of the Tithe Apportionment and map (1837), this area - from Swineford Lock to the Jolly Sailor - was divided into over 80 strips of land, all described as 'meadow' rather than 'pasture', signifying grassland mown annually in the summer for making hay. Do not go into the field, but instead turn right up the public footpath. You are now heading up past the Saltford Sewage Works. Look out for wildlife on the pond to the right. Follow the path round to the left at the top (11) and eventually it leads out onto the lane. The Bath Corporation Sewage Disposal Works were constructed and opened in 1914, and are now owned and managed by Wessex Water. All Bath's sewage is pumped here through a large diameter pipe for processing. The facility houses an education centre which provides schools with the opportunity to discover more about water, sewage treatment and the environment at Bath's main sewage treatment works. Contrary to what you might think, Saltford's sewage is not treated here: it is all pumped to the sewage works at Keynsham. Follow the lane to The Jolly Sailor. Walk through the car park to the front of the pub and the lock (12). Across the water you can see the little hamlet of Kelston Mills, which now houses a small marina. The furnace chimney of the old brass mill is clearly visible. It and the workers' cottages date from the second half of the eighteenth century. The building of Kelston Mills is thought to have been the final expansion of one William Champion, who owned a large brass mill in Warmley, before being declared bankrupt in 1769. All the premises of his company were eventually taken over by the Bristol Brass Co. It is thought that the mill ceased operating in about 1840. During the late 1780s the Bristol Brass Company acquired a 2/3 share of a paper mill, formerly a leather mill, on the spot where you stand. The site was never used as brass mill, but was allowed to become derelict. 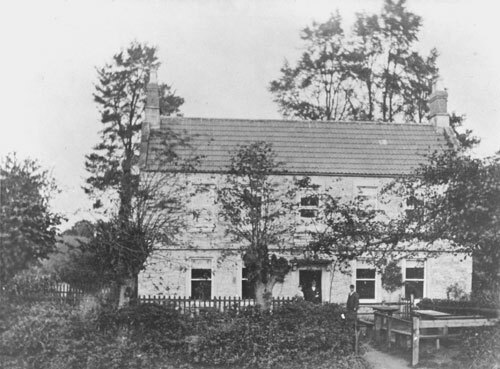 The mill house was rented, and is now "The Jolly Sailor". The mill here was originally the site of a tucking (fulling) mill. A map of 1742 shows a paper mill on this site. The lock is known as Saltford Lock. This is rather confusing as it is not as close to Saltford as the next one upstream (by the Riverside Inn, which is known as Kelston Lock, despite the fact that it is ¾ mile from Kelston!). Walk from the pub garden along the path in front of the buildings. You will cross the mill stream and see the waterwheel. 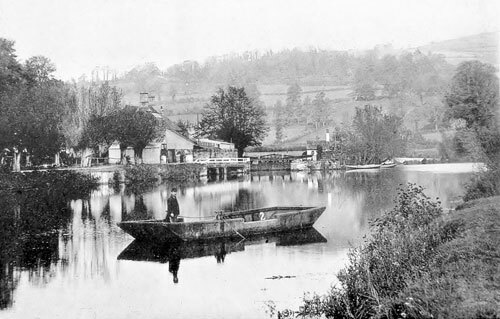 The horse ferry near the Jolly Sailor PH, 1898. This transported horses from one side of the river to the other as the towpath changed banks at this point. The point where this path joins Mead Lane marks the spot where there was a second horse ferry, taking horses over to the towpath on the opposite bank of the river. Walk along Mead lane back to the Bird in Hand. After you have passed the row of houses, and before the entrance to Spion Kop, look up to the right (13) where you will see a very good example of rocks from the Lower Jurassic period (see 1a.). Note that these rocks are not accessible to the public as the outcrop is in private gardens. 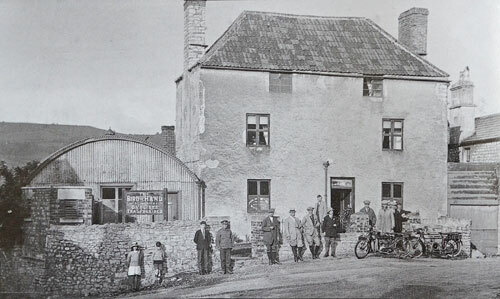 1 A Village Called Saltford - Hilary C. Smedley, Keynsham & Saltford Local History Society 2012.